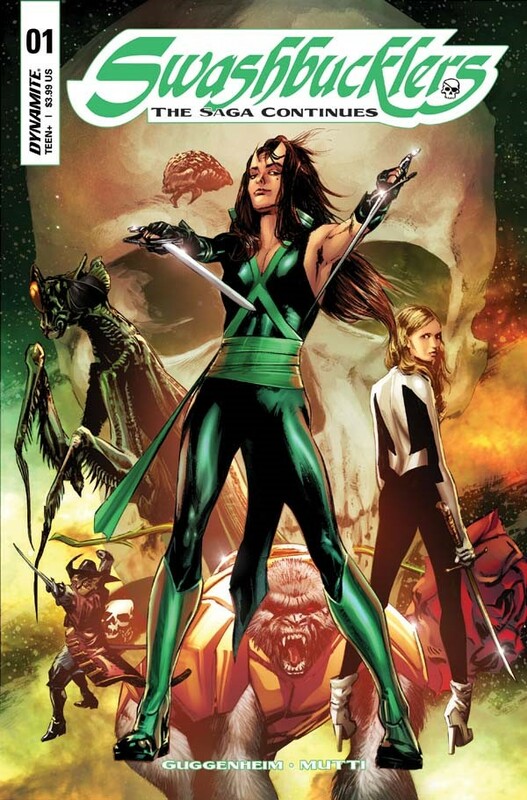 Dynamite Entertainment announced that Bill Mantlo and Butch Guice's iconic Swords of the Swashbucklers will return this April with Swashbucklers: The Saga Continues #1 from writer Marc Guggenheim (X-Men Gold, Spider-Man) and artist Andrea Mutti (Rebels, Pathfinder)! After a successful Kickstarter that restored the original graphic novel to print and paved the way for this new series, Dynamite is thrilled to continue the adventures of the motley crew of the Starshadow-a spacefaring pirate ship captained by the charismatic and fearless Raader. 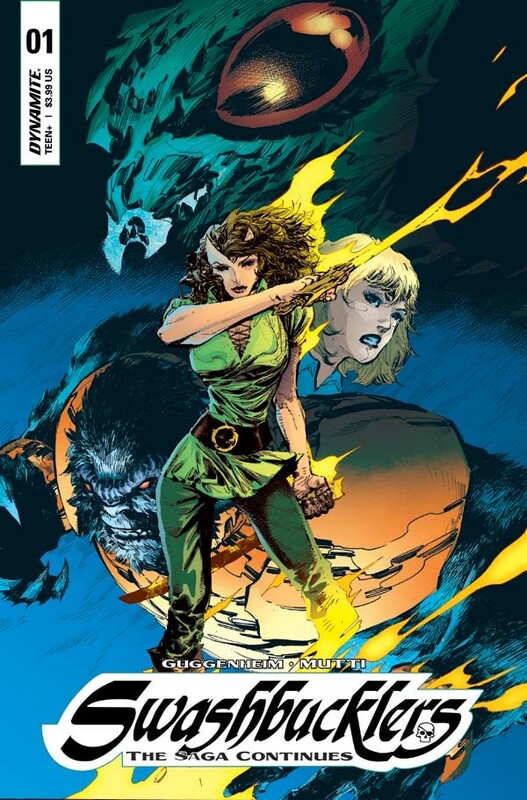 "There are very few creators who could lead the charge for new Swords of the Swashbucklers stories, and Marc Guggenheim is one of the only writers that the Mantlo family and Butch (Guice) has entrusted with their signature characters," said Nick Barrucci, CEO and Publisher of Dynamite Entertainment. "Marc has crafted an incredible story to introduce Swords of the Swashbucklers to an entirely new generation, and Andrea Mutti's dynamic, expressive art makes this a can't-miss book!" "Andrea and I worked together many years ago on Iron Man vs. Whiplash, and we've been conspiring to collaborate again ever since," said Marc Guggenheim. "He was the first name I thought of for this project and has been knocking it out of the park!" When last we saw the crew of the Starshadow in the pages of Bill Mantlo and Butch Guice's Swords of the Swashbucklers, it seemed that all was lost. Decades later, Raader and her crew return to adventure through the cosmos once again! Continue the epic space adventure and enjoy the return of these legendary space pirates in The Saga Continues! Swashbucklers: The Saga Continues #1 will be solicited in Diamond Comic Distributors' April 2018 Previews catalog, the premier source of merchandise for the comic book specialty market, and slated for release in April. Comic book fans are encouraged to reserve their copies with their local comic book retailers. Swashbucklers: The Saga Continues #1 will also be available for individual customer purchase through digital platforms, courtesy of Comixology, Kindle, iBooks, Google Play, Dynamite Digital, iVerse, Madefire, and Dark Horse Digital.